The first part of Season 7 of Pretty Little Liars season finale left the audience wondering, who is A.D. The identity of A.D. wasn’t solved in the season finale so fans have no clue who A.D. is. 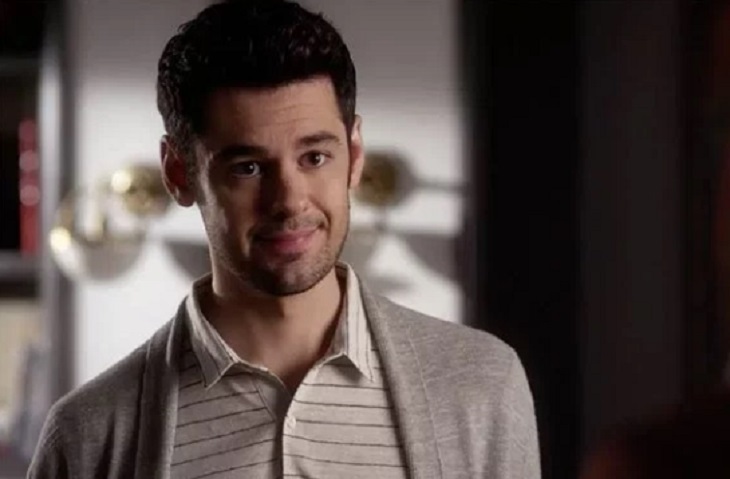 There are theories floating around that Lucas Gottesman (Brendan Robinson) is actually A.D. The writers might have left clues throughout the seasons leading the audience to suspect Lucas as the one behind everything. Clues were left in the first Halloween episode for the show years ago. During this episode, people were suspicious of Mona (Janel Parrish) and they had a reason to be suspicious of Mona. Mona worked with A at one point during the show. The things that happened to Mona happened to Lucas as well in this episode. Related: Season 7 PLL Theory – Is Alison Pregnant With Emily’s Baby? Alison (Sasha Pieterse) tormented Mona and Lucas in this episode. After Alison tormented Mona and Lucas, they exchanged sympathetic looks with each other. The other link between them is that they both approached Alison while wearing disguises. Lucas threatened to make Alison pay for what she did to him. The threat gives Lucas a reason to go after Alison. Lucas wasn’t shown much during this season, but his role was very important. He helped Charlotte (Vanessa Ray) out when she came home. He also came back to town around the time that Charlotte came back. Lucas also helped Hanna (Ashley Benson) get back on her feet. He is helping her get her fashion company started. Did he do it because he wanted to or because he had an ulterior motive? When Hanna hit Dr. Rollins (Huw Collins) with the car, it turned out that the car was not hers. In fact, the car was actually Lucas’. Since the car belonged to Lucas, this could be why A.D. knew that the girls hit Elliott. Lucas could have had a tracker in the car so he would know what Hanna was doing. Another way for him to keep tabs on her was to let her stay at his place. Another suspicious act happened when Aria (Lucy Hale) was almost burned in his apartment. Lucas is smart enough to break into his home and try to burn her without her knowing about it. He knows his place well enough that he could slip in and out without Aria noticing. There is a lot of evidence pointing towards Lucas being A.D. Fans can find out if Lucas is A.D. when the show returns in April 2017. Will A.D.’s identity be solved before the show goes off for good? Is Lucas A. D. or is it someone else?